“Philos the Athenian”, AIA’s mascot; Fan Heyun, General Manager, Athens Office, Air China; Ioanna Papadopoulou, AIA Director, Communications & Marketing; Wang Qiang, Counsellor & Deputy Head of Mission, Embassy of the People’s Republic of China; and «Zhū lèlè», the mascot for the Chinese New Year. 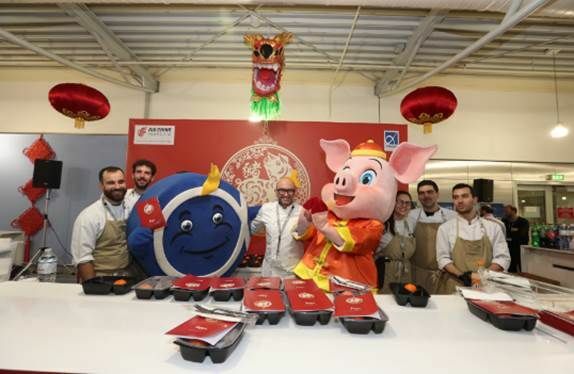 During February 5-20, Athens International Airport (AIA) will be welcoming the Greek capital’s Chinese visitors with the best of wishes and a series of activities in celebration of the festive period of the Chinese New Year. 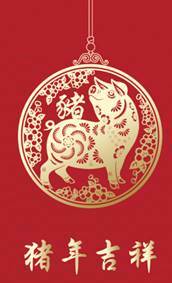 According to the Chinese calendar, this year is the “Year of the Pig”, symbolizing the emphasis on Family and Home. Launching the festivities for the Chinese New Year, AIA and Air China on Wednesday jointly held an event at the airport, offering a taste of China’s culture, music, dance and flavours. Following the Chinese tradition, gifts were offered to all arriving and departing passengers. “We’re happy to see that AIA always spares big efforts to make Athens International Airport more and more Chinese-friendly,” Fan Heyun, General Manager Air China / Athens Office, said. During the Chinese New Year event, passengers tasted traditional Chinese flavors at the gate before their flight. Air China passengers had the opportunity to vote for the name of the Athens International Airport’s new Pig Mascot. 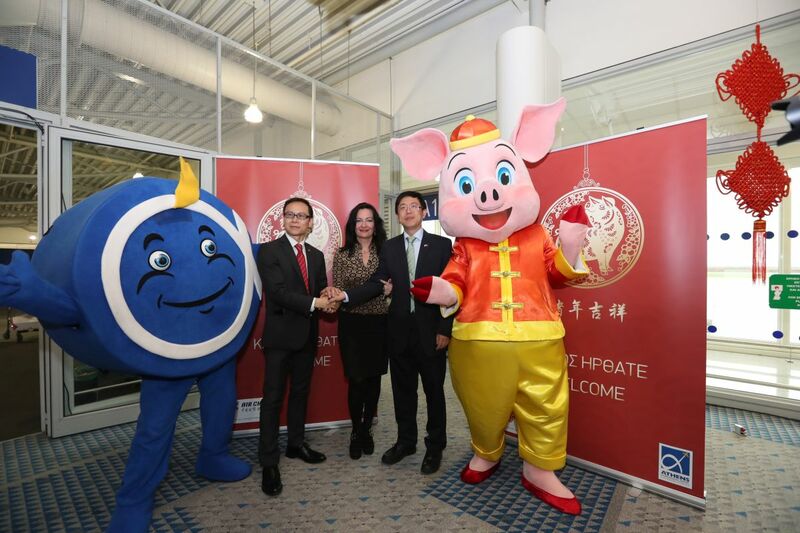 So, “Lucky Zhu” (“Zhū lèlè” – “Happy Pig”), is the mascot introduced especially on the occasion of the Chinese New Year and will be at the airport throughout the festive period welcoming all passengers to / from China. “The lovely Piggy mascot will bring good lucks to every traveler, making them feel like home. Big thanks to AIA for making Athens one of the most popular destinations of Chinese tourists and I wish a big growth of Chinese arrival in the year of the Pig,” he said. On her part, AIA Director Communications and Marketing Ioanna Papadopoulou underlined that management wants every moment at the airport to be a wonderful and unforgettable experience for visitors from China. “We wish to all of them a Year of the Pig full of happy moments, and… lots of travels to Athens!” she said.